I am hoping and praying that you will do a post or ten posts about exterior paint colors. But, I’m afraid I’m going to need more than a post. Maybe while we’re out, God will strike a lightening bolt which will damage the roof so badly, it’ll have to be replaced. This is my sad tale. We bought this home last summer. We bought it for the location and schools. It’s a 1960s Cape Cod with an addition. Here’s the problem. The previous owners– actually THE nicest people with the worst taste in decorating ever replaced the roof the year before we bought the house. You know what’s coming. The roof looks like a heard of Santa’s reindeer chose our home to do their business on. That color. yeah And more yeah… the crap-brown roof is not going anywhere; not in the budget. Well…it’s Easter. I’m praying for a miracle. Lightening? A small but searing meteor? A fire-breathing pterodactyl descending on the roof? I guess I should be careful what I wish for. Perhaps the definition of miracle is knowledge? Well, in this case, it is. And that’s because there is such a thing as roof paint. Home Depot makes it under their Behr brand. And it comes in lots of spiffy colors too! Oh please, do not kiss my feet. That’s gross! And just so you know. I have no experience with this roof paint. The major complaint is that it takes more paint than they claim. That, in my book, is not a problem. A problem is if it flakes off in one week or there are traumatized raccoons in the attic clawing at the ceiling. A client of mine had that a few years ago. Horrible! Now that we have the roof issue out-of-the-way– on to the best house colors. It’s tough because if it weren’t tough, you would be cleaning the oven instead of reading this. So, let’s go over those variables first. This is huge because the colors for a home in Nantucket are apt to be quite different from a home in Phoenix. What is it made of? Brick, siding, shingle, stucco, stone or a combo of two or more of those elements? What are the other homes like that are nearby? What’s going on inside your home? You already know this, but you wouldn’t have a red door if the interior is mostly orange. They need to work together. And finally, what size is your home? I read not too long ago that a large house should never be white. Okay, I’ll send the painters down to DC ASAP. I think it’s the opposite, if anything. Large homes look better in lighter colors. But again, if there’s a lot of architectural interest and white trim, a dark house can also be fine. As a matter of fact, there’s a game I’ve played with myself for years– especially when I travel. And it’s seeing a building, residence or not that’s really ugly and then imagining it painted white. Every time, in my mind’s eye, I see it looking ever so much better. Before we get into some of my favorite exterior paint colors and combinations, a few important things to know if you already don’t. Paint colors on your exterior behave differently from interior paint colors. Like, when you thought you had it all down, (or sort of down), the rules suddenly change. Well, one of those is that the colors almost always appear much lighter outside than inside. And if the house is in bright sunlight– very much so. So, a lovely soft off-white inside might look too bright for what you have in mind. Therefore, I would go a shade or two down from what you are thinking of. But ALWAYS test your colors! And the same way we test on the inside. Not like this. Sorry, if this is your house. But it’s best to look at the colors one at a time. And here’s where I’m feeling just a tad overwhelmed. I can’t possibly address everything in one post. 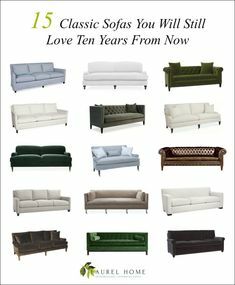 But hopefully, when finished, you’ll have some ideas that will help you no matter where your home is or what style it is. And if you have a favorite paint or idea please do share it. First, I want to address is the “new” and ubiquitous farm-style home. Is it a bad fad? Sorry for the vague answer. It doesn’t feel terribly different from this genuine Federal period farmhouse. The modern farmhouse-style is an amalgam of that with a little craftsmen thrown in and the de rigueur metal roof. That’s the part that’s the most faddish. I like the style and I like the metal roofs, but I will caution you folks out there to tread gently. Like a lot of things it can be over-done or not done right, or something. I guess I need to bring this up because like the interior of the home, the exterior paint colors are tied into the architecture of the home– the style, the surroundings and what the neighbors are doing. (unless they’re painting their homes purple.) At least, I think it should be. It seems that every town I’ve ever seen has that “one house” something weird. Right? The other thing is that the combinations that the paint companies have put together are not always, but very often gag-awful. I don’t know why, but that’s my impression. Did I say that this is a difficult post? haha. One reason is… I adore looking at houses. And it’s a lot more fun to look than to get it all down in a way that will make sense. In addition, there are 100s of great house colors! HUNDREDS. Some of these I know the color or at least am going by the color they say it is. Other times, I’m guessing. But here’s the thing. I’ve looked at a lot of houses over the years– and the colors in photos can be completely misleading– even with the same house and the same view! This is a lovely and accessible farmhouse style home. I selected it because they used ONE color for the trim and the body of the home. Only the front door is a wood stain. I prefer garage doors with windows and maybe they do too, but were just working within their budget. The color is Sherwin Williams ROMAN COLUMN. A good Benjamin Moore substitute is ACADIA WHITE ac-43 or its identical twin IVORY WHITE 925. Not sure, but it looks like they might’ve put a little paint on the stone. Whatever, it’s really pretty and the flower box look great! This one’s funny because first I found a sub par image of this lovely home and wanted to use it. When I found a great image, discovered that this is a Studio McGee home. Quite stunning it is. Here is one color for the body and columns and then everything else is a soft black. This is a complete reno, not a new build. You must click on the link to see the amazing transformation! And you can see an amazing coincidence if you click here. I haven’t the foggiest idea what white this is… but here are some great ones to try. Swiss Coffee looks like Glacier White (or verrry close) – which is either oc-37 or ac-40. Yes, confusing. That is why I always write down both the name and the number of the color. CHINA WHITE – is not my favorite interior color because it can go rogue and look like a pale muddy pale gold or go gray and cool. But outside, it’s a mellow cream. BALLET WHITE oc-9 – is a little deeper than Swiss Coffee. It will most likely look like a warm, pretty off-white on the exterior. Handsome home in Florida- via Traditional Home. I love the colonial Florida style. Is that a term? Yes, this is the same house. I know… Sick. And talk about the inside and outside connecting together! Please check out the rest, here. Oh what a beauty! Can I have this one please? Love the Chinese Chippendale railing. LANCASTER WHITEWASH hc-174 is a classic cream. Another nice one is MONTEREY WHITE hc-27. I don’t know if those are the colors, but something like that. Don’t stress too much about the white trim. White Dove goes with most of the light to medium historical colors– or any of the other white shades too. But please test first. Stunning architectural gem. N’est ce pas? And a fabulous cedar shake roof, it looks to be. Another farm-house type. But I think the yellow looks fresh with all of the white trim. HAWTHORNE YELLOW hc-5 – looks very fresh and unexpected in this charming one a half story craftsman bungalow. The image was taken from a real estate listing and the home is no longer for sale. This is a fabulous reno! Please check out the rest of the home in the link. The siding colors are both dark blue-blacks. I’m not saying it’s a bad thing. But this is one of those homes that looks different in every photo. I do love the white trim. Dove Wing has a lot of gray in it, but with the dark color looks like a fairly crisp white. But please know that there are dozens of whites that would be absolutely fine with this dark, rich navy. Another fabulous off-black is the color Nancy Keyes used on her charming garage. And blimey. She sent me the interior and I cannot find the photos. HALE NAVY hc-154 – is a classic and popular navy. I love how fabulous it looks on this home. I’m not sure about the door color though. And yes, we are barely touching that on this post! This color was not on my radar, but I absolutely adore how it looks on this fabulous four-square by Donald Lococo. If I was a house and I needed to be painted I would want to be one of Martha Stewart’s houses in her compound in Katonah, NY. This is one thing I actually know quite a lot about because I lived only 3 miles a day and drove past it dozens of times as it was on my way to clients and a choir I sang in for several years. One can say a lot of things about Martha, but one marvelous thing she did was develop this large piece of property which is in the Hamlet of Katonah in the town of Bedford. There are several buildings of various sizes and each of them is painted this ONE COLOR. This is actually an accurate 17th-18th century way of painting country homes–particularly in New England and Salt Box styles. They didn’t have the luxury of selecting a contrast color. OR, maybe they just preferred it that way. Me too! And yes, another one of the historical grays. Perhaps you’ve noticed by now that most of these are from the Benjamin Moore historical colors. Rockport Gray is a nano touch darker than Martha’s Bedford Gray, but over-all the same tonality. It’s warm putty color, with a touch of green and brown and a lot of gray. There is a lot of stone on the property and the color looks amazing with it and with all of the lush greenery that abounds. I actually found a closeup! It’s 150 acres of heaven! Some of the porches with fans reminded me of the recent fan post. Did you see it? Phew! I did it! By the way, most of these colors are in the Laurel Home Paint Color Collection. Do you have any exterior colors that you love? Are there any that you’ve tried that were duds? That’s good to know too! Please have a blessed and joyous holiday! I am so pleased to have found your blog! How I have never come across it baffles me. We have just bought a traditional brick ranch that has had one owner since 1956. You can imagine the work it needs but we are thrilled and so excited to make it our home. While I love brick, I am drawn to one type of brick, mainly what I call Williamsburg colonial brick and a type that is, unfortunately, not in our budget. We are currently debating whether we want a white(ish) brick ranch (White Dove, Glacier White, Swiss Coffee) ranch or a Gray(ish) house. Black shutters and white trim. THANK YOU for this post! I have now pinned just about everything you have mentioned above! I need a new roof. The contractor told me that nowadays black isn’t used – because of the heat factor. Makes sense – but I certainly didn’t know and I didn’t recognize that my neighbors who both had their roofs replaced within the last two years how do use charcoal. It reads like black. Anyway that’s a piece of info I learned. Something to keep in mind for people who are replacing a roof or picking colors. Two summers ago the house was repainted white and shutters repainted black – Sherwin Williams paint. Excellent , great ratings. For the detached 2 story garage in the back of the property in chose SW Dove Gray. I didn’t want a blue gray and this is perfect. It looks great with slate and brick walkways, too. I tested very dark charcoal (SW Peppercorn, for ex.) and very very dark navy. Glad I tested because I was very intrigued by the dark dark colors. Just wasn’t right for the building. I could see immediately that Dove Gray was wonderful and I surprise myself by never having a second thought! It’s wonderful throughout the day and throughout the seasons. I live in the Northeast. Masses of snow and only Zone 5 nearly Zone 4 growing season. There are no flowering bushes in March and only a very few bulbs. As Laurel said, consider weather factors when choosing and the property. 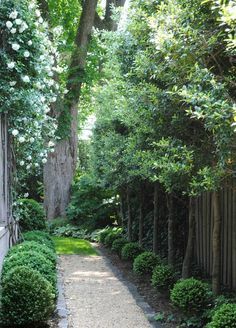 A narrow lot dictates all my exterior choices, too, with foundation plantings and trees and shrubs. It will never be as lush as I would like. Libby, I’m not sure if this comment was directed towards my original comment about choosing a SW paint color that is equivalent to MS’s Bedford Gray or not, but I appreciate it nonetheless! This post came at a perfect time for us – we are in the midst of painting our house and have settled on a monochromatic palette. We love the MS’s Bedford Gray. You listed the Benjamin Moore equivalent, but would you share what color you think is the equivalent with Sherwin Williams (the brand our painter will use). I am thinking Pewter Tankard? Fawn Brindle? 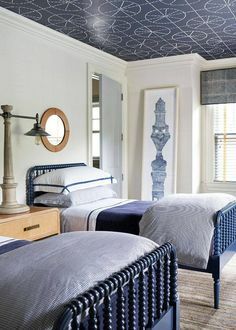 I’ve always loved Martha’s aesthetic and think that rooms and colors she did 20 years ago still look fresh and current. That’s the definition of timeless! What do you do when you’re in an impossible situation when it comes to your hard finishes? We bought a 1970s bungalow that has a black roof on it, and has black textured brick 3/4 high on the sides of the house, with the rest being wood siding. It’s currently painted in a cream/yellow white, which looks terrible with the black, a more neutral or a grayer white would be much better. The problem is that my husband is super opposed to going with another white, both because of how terrible the house currently looks in white (which convinces him any other white would look terrible) as well as because both of the next door neighbors are white, as well as two across the street. It looks weird having this ‘white spot’ on the street. I’ve thought about going gray, but I can’t really find any gray I’m convinced would look good against the windows (natural aluminum) and the black brick both. And it doesn’t seem like it would give enough of a color contrast against the neighbors either, away from all the white. But at the same time, I’ve got no idea how to introduce some color into the house with all the hard finishes and the neighbors being so monochromatic. Do you see me pinning, lol? I, too, like to look at houses (it’s my job :). Do you have any advice or thoughts on painting vinyl siding? Anyway, my vinyl siding looks dingy and I am thinking to paint it for a short term fix. In fact I’m thinking to paint the gutters, soffit and fascia. Currently I’m painting the shutters which, of course, makes everything else look bad. The vinyl is yuk baby blue, but the house was a short sale and fixed up enough for me to live in and hold till I’m ready to sell (it’s my retirement plan). I love the Studio McGee house and I am contemplating painting the inner metal wrap on my windows black. Also you did not point out, but I LOVE the copper color (is it copper?? )on the gutters and downspouts. Matches the swing color perfectly. Thank you again, loved this post! Well… I always say that you can paint anything. Anything if it’s not getting rained/snowed/dirt thrown on it. What I would do is google: ‘Can you paint vinyl siding?’ I’m sure that somewhere someone has talked about it. Because if you want to do it, others do too. You are sooo right, Laurel. I know you like Ben Moore, but the top google was info on Sherwin Williams VinylSafe paints. And if you DIY, could be as low as $250 compared to a couple thousand for a pro painter. Not to mention savings over re-siding. Someone might have mentioned this already…so many posts here…but from experience i can tell you why people put on new roof before selling. So the buyers can get a mortgage. As to the color, I wonder sometimes where colors come from……out of the blue, it seems. We painted our 1926 old Spanish 2-story in Coral Gables, FL Ben Moore’s Simply White in an effort to sell. We were in the middle of rehabbing the entire home when we suddenly had to move. The home had an almost primary yellow that was so faded it was impossible to match depending on which side of the house you were on. Where it was flaking off, you had to laugh at the paint colors throughout the years (before the City required approval for painting). There was a baby blue and salmon pink, but I think the original color was white. I chose the color in a hurry because I’d be giving it to someone else. If it were for me, I might still be obsessing. The home faced north, so I chose Simply White straight from the fan deck on the front porch. Horrible advice, I know. I liked Simply White because it turned into a creamy vanilla ice cream color when compared to the others. And it looked great with the green front door. Well, Simply White turned out to be a lot brighter than I thought it would, especially on the east side of the house, but not in a stark way. It was still really warm, just more brilliant than I expected. The house suddenly looked completely finished! This was without bringing back the original loggia and upstairs sleeping porch we had planned to recreate from the original plans. Someone had closed it all in with WIDE RANCH WINDOWS in the ’70s (I know how you feel about that decade). I’m convinced that if we hadn’t painted the exterior, we wouldn’t have sold at asking in the month of December in just 2 weeks. Finally the outside matched the guts (new plumbing and electric) and AMAZING kitchen, master bath, casement windows, etc. I was so sad to leave. Before the makeover no one would have expected the beauty inside. After the paint, you wouldn’t have expected anything less! Thank you, Laurel, for your posts. I don’t believe there’s any design blogger that can touch you as far as content, communication style, responsiveness or talent. Don’t be modest! Actually Simply White is a great choice. It is very close to Cotton Balls. The differences are so slight that most would not notice. You can’t just say “It’s a house”..it stands somewhere, it relates to this somewhere’s geography, history, culture..it reflects certain style. I’m so grateful you point all these things out-which should be obvious to come first when you decide on your direction, but somehow it’s rarely that they’re given their space, and it’s refreshing to read it, especially written with such clarity, and in such an engaging way. In our previous neighborhood some folks bought an empty lot and built a huge very expensive place (I know since that was a multi million dollars neighborhood..we were across the street though, lol). The house next to it was smallish, and this monstrosity somehow wrapped itself about it, with all the pools and grounds. So they put this red roof. OK. And I wait for the wall color..and they go and paint this huge house of theirs some very wrong yellow. Bland, gloom-ish, and reminds me of erm..never mind. Wrong with their red, wrong with the neighboring tasteful houses, wrong with the street that it overwhelms by now..just wrong. I felt sorry for the neighbors, really. Oh well. What can you do. This reminds me. Oh boy! Get ready. Nancy, you’re a fabulous designer with magnificent taste! But decorating for oneself is very difficult. At least it is for me! A few years ago we used Benjamin Moore’s Mont Ste. Anne for the siding on a cute, English style house. i chose it because it was listed by Maria Killam as a good exterior gray with a greenish tone. When I painted a 3’x3′ swatch it did indeed look like a pretty, greenish gray. I wasn’t at the house when the painters were working, I know, I know, huge mistake. And my sweet husband trusts me enough to think I would never make a bad choice so he didn’t question what he was seeing. I did hear a hint of hesitation when I called and asked him how the paint looked. Well, I got home and found that I’d had the house painted in a color midway between mint green and aqua! Yikes. Luckily, the house is in Portland, OR which is a city that embraces funky houses. We made it work with some strategically placed, wood accents, but it was a huge lesson. This is an example of how a color can appear quite different outside– depending on the light. One thing I want to say is that it is easy for colors with the slightest amount of green undertones to go green when outside. Thanks so much for the recommendation! Stonington Gray sounds exactly like what I’m looking for, I’ll check it out. Yes! Ralph Lifshitz (his real name– can’t imagine why he changed it! haha) lives up that way too. LOL! You are so funny. I had forgot that little detail about him. Branding is everything, these days, huh? There’s a lot of celebrity elbow rubbing (poking?) to be done in that area. Saw quite a few people when we lived there. I don’t miss it though, I have to say. We’re in CT now, I find the people a little more down to earth and that is a welcome change for us. Happy Easter! Our house is white with black windows, 2 over 1 and a full view front door 2 over 2. Laurel, I live in Orleans, MA…Cape Cod. Super White is also my interior trim in semi-gloss; my ceilings in flat finish. Oh, how beautiful! Is that like being on permanent vacay? And I know that super white is Vicente Wolf’s personal favorite white. I haven’t actually used it, but from what I can see, it’s a very clean but warm white. The differences between some of them are very slight. Permanent retirement, is what it is. My father grew up on the Cape and I spent every summer here. My grandparents were alive until I was well into high school. Different times then. My grandparents ate what they caught and what they grew. I don’t know if you have ever tasted beach plum jelly, but it is from heaven. My grandfather was a Chase (Chase and Sanborn Coffee). He had no money, but left some very special antiques. One of our first retirement homes ( we have had 5)…can’t make up our minds…was an 1840 half Cape. Not sure if you have ever heard of Cape and Islands Home magazine, our house was featured in it. We were very proud. Oh wow! How cool is that!!! Oops! Thanks so much! I made the change. Roman Candle is a firecracker! haha. Interesting about the formulas not being consistent. 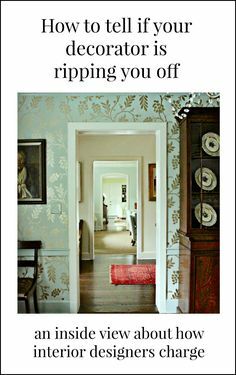 I talk about Benjamin Moore and promote them because around here it’s the most popular paint and by a lot! And also, it’s the one I have the most personal experience with and by a very wide margin. Pratt and Lambert is in second place. I used to specify it a lot before BM changed their fan deck circa 2004. What they didn’t tell us designers is that they never took the old one away! And then they brought it back at least ten years ago. My new-to-me home is currently telling me that it truly doesn’t know what it wants to be! I clearly need a “House Whisperer” to unpick its messages! Thus far, I have spent £264 on paint samples: Benjamin Moore (newly available in England – it’s lovely paint), Farrow and Ball, Little Greene Paint Company, The Paint & Paper Library, Dulux (biggest paint brand in Britain), and others. Oh, a problem child!!! Sometimes it helps to go in a completely different direction. Not saying you haven’t tried that. But sometimes people have an idea in mind and the house doesn’t like it. Well, I’ll be a ding-dong-dang! Yes! There is such a thing. Here’s a link to one of them. It comes in different sizes too.